Also, does anyone know what the original Ohio shield was that was covered up (and not very well) by the US-33 shield in this picture? I would assume it was an OH-33 shield. Didn't get a photo but saw a US 89 off of US 93 southbound the other day. is that in Arizona? If so, is that an error, or - could it be? 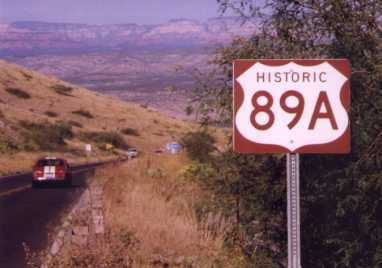 - a remnant of old US-89? yes that is in Arizona. No it isn't a remnant it is a new sign have driven on that stretch of US93 a lot and haven't seen it before. Here's a recent one. It'll be fixed by tomorrow, so no photo opportunity. damn Maryland neutering its shields; I'd have rather liked to add a Maryland I-85 sign to the shield gallery. I note the problematic "K" at the end of Patrick, but cannot tell if that is really uppercase, or just an artifact of the small image. The lowercase "k" at the end of Frederick. Looks like the "PatricK" K and the "FREDERICk" K's need to be swapped. EDIT: Sorry Froggie, I didn't realize when I posted this that you already had until today. yep, this photo is much better quality. I wonder if they'll let us use it on the shield gallery. indeed, the two K's need to be swapped! Wonder how that happens on a retroreflective sign - a button copy sign I could understand, if one person selects the set of letters that need to be applied to a given sign, and another actually rivets them in place. The photo belongs to the Frederick News-Post, which was also used (albeit in reduced form) in the WTOP article Froggie tweeted yesterday. I believe Maryland uses demountable copy. Certainly seemed that way whenever I was there in 2007.
here I thought many states had switched over to monolithic signs because they are less expensive to make using computers. 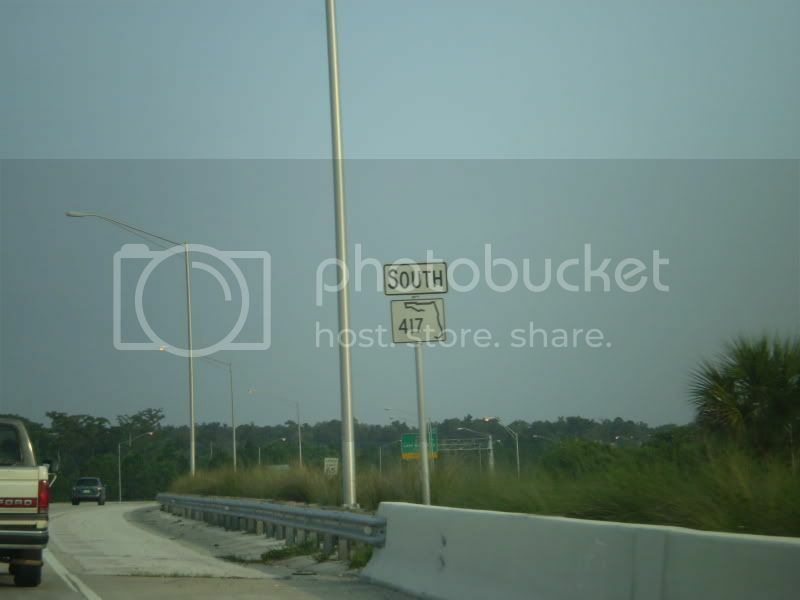 All this time FL 417 is a free highway? We've been robbed! Thanks! I'm surprised that they did such a crappy job of correcting it, and that they haven't done the opposite correction down on the following sign with "US-32". Anybody remember that erroneous US 27 sign placed on Sunrise Highway several years ago? Well somebody who made this bumper sticker stuck to that error despite the correction by NYSDOT #10. That's cool! I would buy one. No photo, but both the 1-mile and 1/2-mile BGS's eastbound on the new US-24 expressway have OH-127 shields instead of US-127.